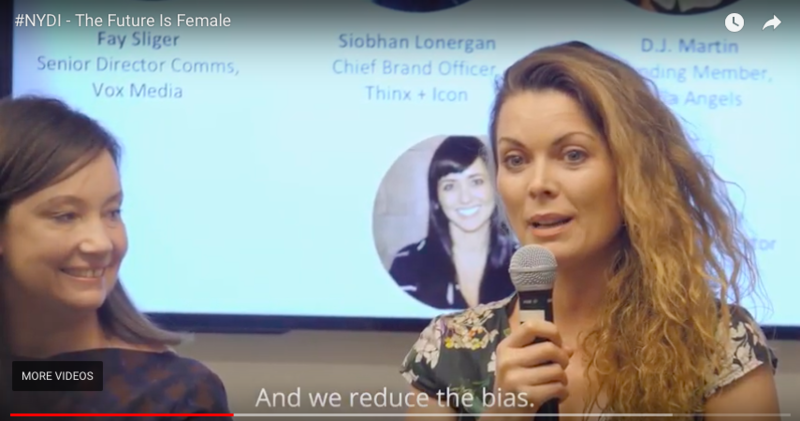 Last month our co-founder Vanessa Tierney hit the US on Abodoo’s first NYC visit, where she joined some inspirational women to discuss how FemTech is empowering women to take charge of their lives. With Femtech set to become a $50 billion market in the US by 2025, these trailblazers in the sector came together to discuss what’s fueling the growth and what men can learn from the booming industry. Digital Irish is a non-profit organization of tech and digital media folk from Ireland and Irish communities around the world. Headquartered in New York City, #NYDI was founded by Feargall Kenny in 2013, and has subsequently grown to over 1,000 members and made countless valuable connections so far. Their goal is to connect the Digital Irish community globally; to promote the expansion of Irish startups, by providing access to resources and networking opportunities in areas such as social media, mobile, online advertising, digital agencies, search, analytics, video, e-commerce or other online-centric B2B or B2C plays. So delighted to have been part of this great event and speakers! Thank you @DigitalIrish and Mary Ann Pierce!